They’ll love the metallic look of your promotion! In the world of pens, this custom stylus pen stands out and offers some major appeal! The barrel is available in a variety of eye-catching metallic colors to choose from. Designed with a black trim and chrome accents for eye-catching contrast. 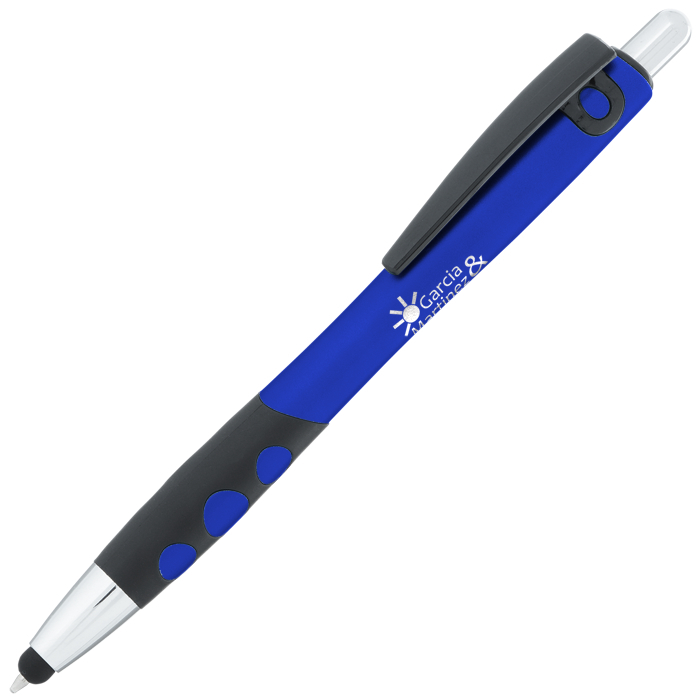 Stylus pens are perfect for taking hand-written notes or navigating a touch-screen device. 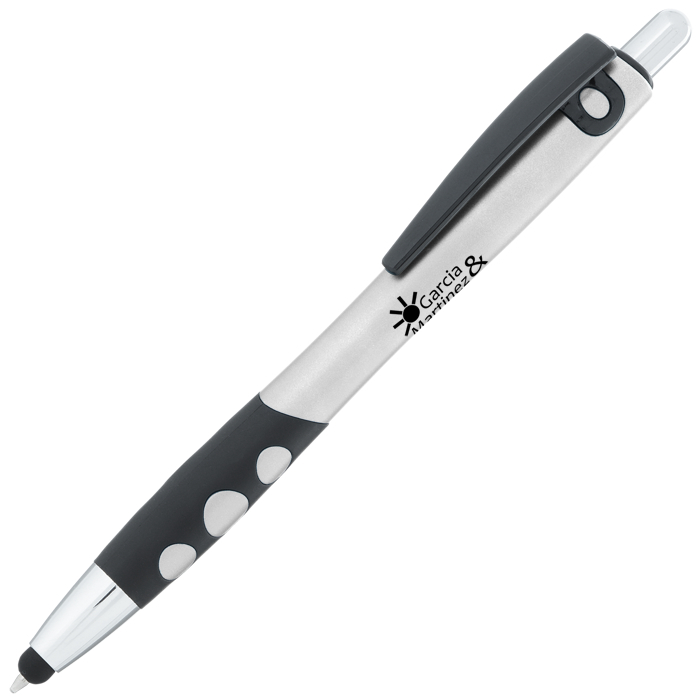 Click-action pen writes in smooth medium-point black ink. Rubber stylus makes it easy to scroll through your phone or tablet without leaving behind fingerprints or smudges. Rubber grip provides a comfortable hold for more controlled writing. Your price includes a one color imprint on the barrel, beside the clip.